Sometimes our favorite TV shows are just silly, wacky stories that allow us to escape from our daily routines. There's something on TV for everyone--and a Christmas episode to suit every taste. 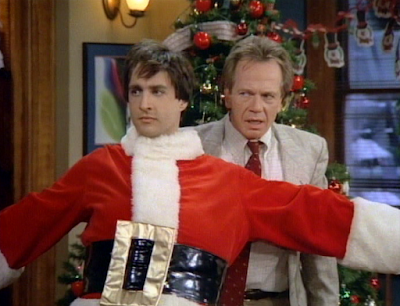 I was recently reminded of the third season holiday episode "The Gift of the Mypiot" from the 80s hit sitcom Perfect Strangers. Do you remember this one? Balki's co-workers watch him open his Christmas gift from his mother. 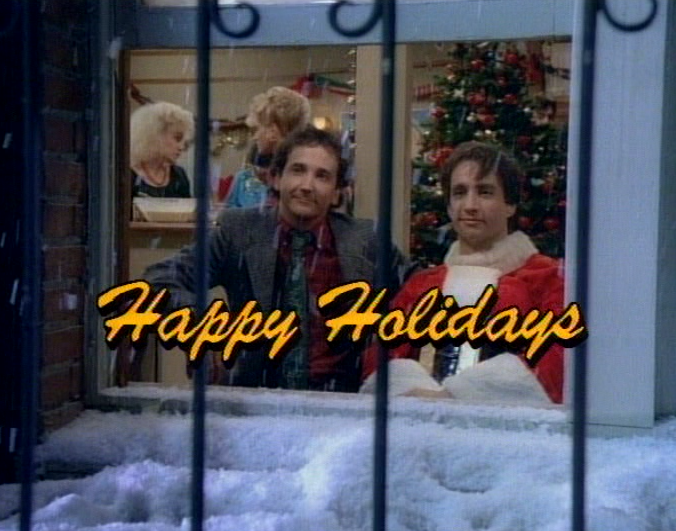 It's Christmas Eve and Larry and his cousin Balki are looking forward to their Christmas party later in the evening. At work at the Chicago Chronicle, the cousins talk about their preparations for the party and how their workplace friends are all invited. Balki discovers that Larry didn't invite their boss Mr. Gorpley because...well, no one likes him. 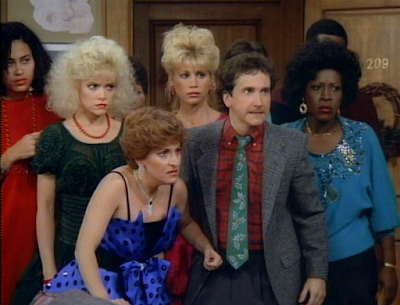 Larry is convinced Mr. Gorpley will ruin the party for the other guests but Balki thinks everyone should be invited to the party. Balki has a very kind heart--even to those with a toxic personality, like Gorpley. 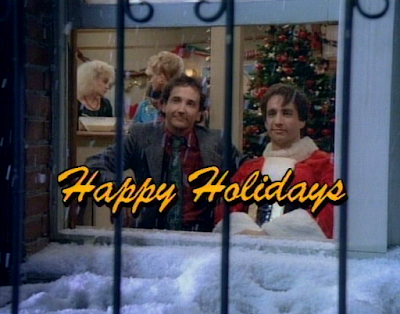 When Balki overhears Mr. Gorpley talking on the phone, he learns that his boss will be alone on Christmas. 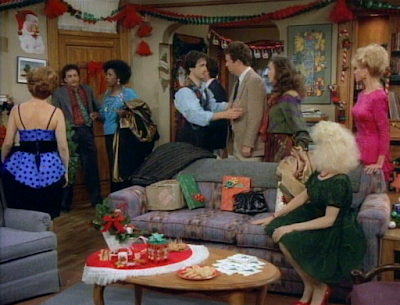 Although he knows Larry won't like it, Balki invites Gorpley to come to the Christmas party. 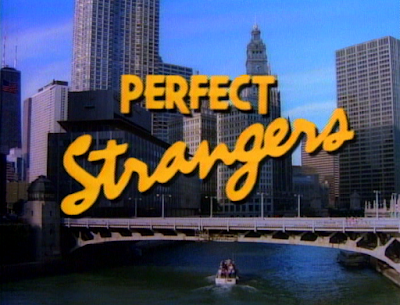 Larry isn't happy with Balki's guest list. 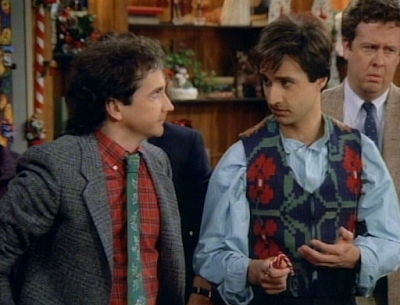 Balki hesitates to share with Larry what he's done. When Larry finds out that Mr. Gorpley is invited, his plan is to avoid answering the door to him. Balki explains to Larry that he invited the miserable man because Christmas is a time to help the less fortunate. 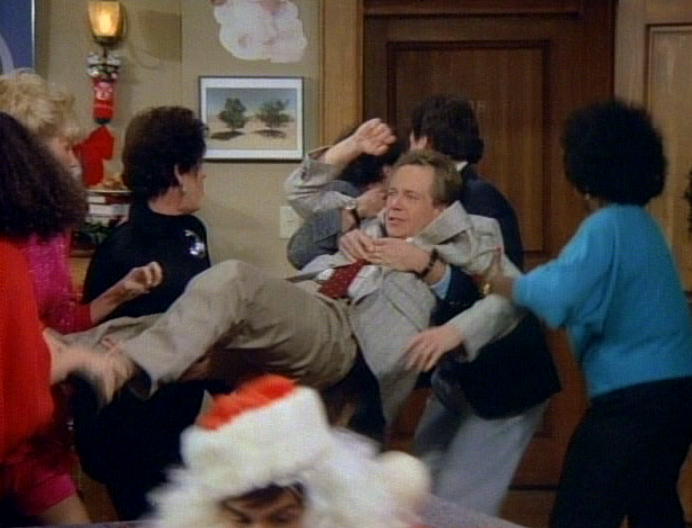 He believes that if they show Mr. Gorpley a bit of kindness, it will spark the Christmas spirit inside him. Larry isn't convinced. 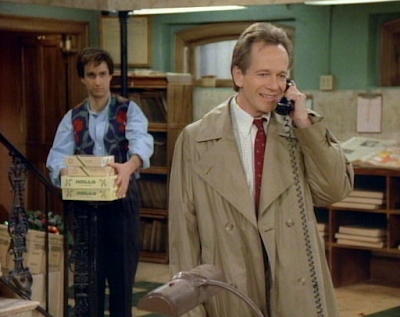 Larry identifies each guest's voice before opening the door, hoping to screen out Mr. Gorpley. One by one, the party guests arrive. When Mr. Gorpley finally knocks on the door, Larry panics and the other party guests learn that Mr. Gorpley was invited too. No one wants Balki to answer the door and let Mr. Gorpley into the party! Showing just how unpopular Gorpley has made himself, the party guests attempt to keep Balki from opening the door and letting the boss in. Plan B: all the guests decide to leave! 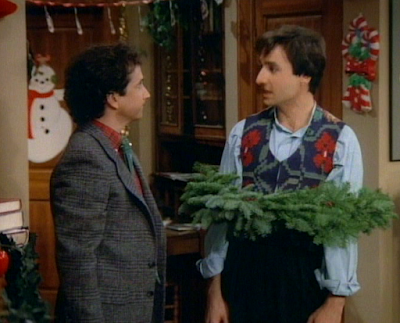 Of course, Balki convinces everyone that it's the right thing to let Mr. Gorpley attend the party. They open the door, invite him in, wish him a merry Christmas, and Mr. Gorpley begins to make those around him feel miserable. 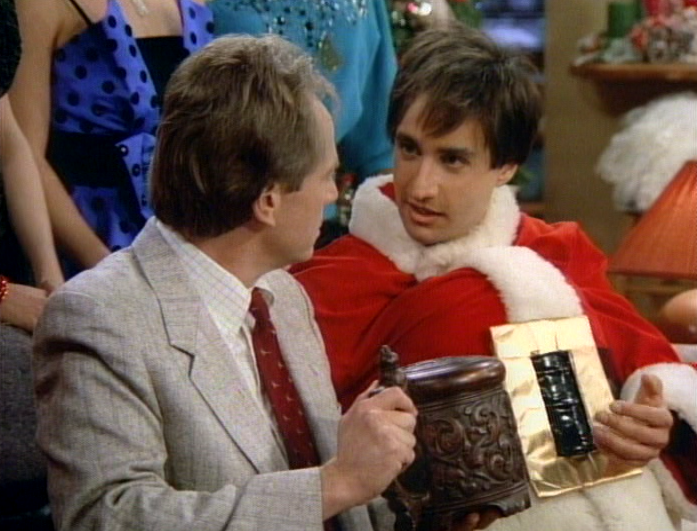 As a distraction, Balki puts on a Santa suit and begins to hand out gifts to the guests. However, Gorpley's comments and attitude is spoiling everyone's fun. Enough is enough! The guests throw the mean and cruel Gorpley from the party. Balki Claus defends Gorpley and insists he stay. The angry mob rises up against Gorpley's bad attitude. Gorpley confronts the angry party guests and explains to them that they can't hurt him--he's had plenty of miserable Christmases. As he begins to list off the bad Christmases he's experienced throughout his life, the crowd begins to soften, feel sorry for him, and understand the miserable man. 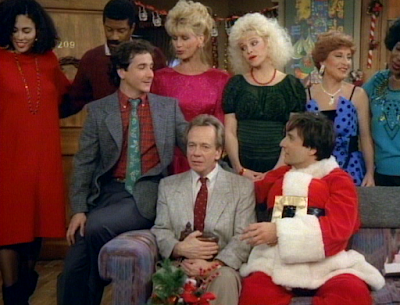 Balki calms them all and returns to handing out gifts. Gorpley thanks Balki for the gift of love. The last gift is for Gorpley--a surprise to him and the other guests. 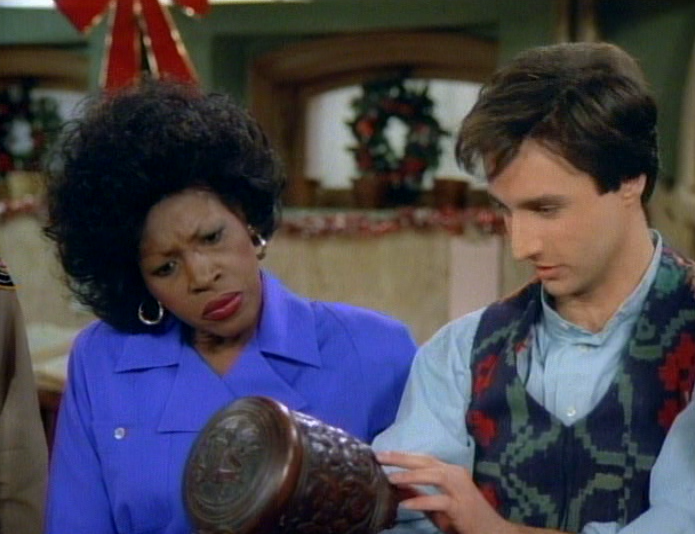 Gorpley opens it and finds that Balki has given him the precious gift from his mother--a treasured, handmade item sent from his village back home. All the party guests know how much the gift means to Balki and they are touched by his sacrifice in giving it to Gorpley. Even Gorpley recognizes the gift's value. It turns out Balki was right after all. Kindness shown to Gorpley has inspired his Christmas spirit. Touched by the moment, the party guests begin singing "Hark the Herald Angels Sing." 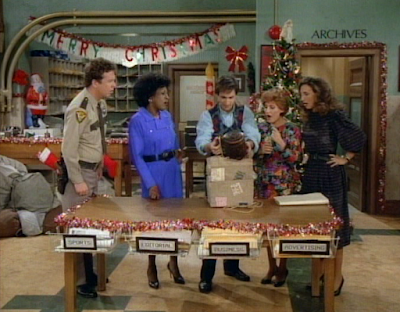 The episode's title "The Gift of the Mypiot" pays homage to the popular short story "The Gift of the Magi" written by O.Henry. Of course, Mypos is the vaguely European home to Balki before coming to stay with his cousin Larry in America. While this episode isn't much of an adaptation of "The Gift of the Magi," it is a thoughtful tribute to the spirit of making sacrifices and offering gifts to others as an expression of love. The 1988 Christmas episode is also one that includes the character Harriette Winslow, the elevator operator at the Chicago Chronicle. TV fans may remember that Harriette eventually got her own spin-off TV series called Family Matters--and the rest is Urkel history! Actor Jo Marie Payton as Harriette Winslow. Interested in reading about a few other Christmas movies, specials and episodes adapted from short stories by O.Henry? Here's a list of links from other reviews I've written. Have a favorite? 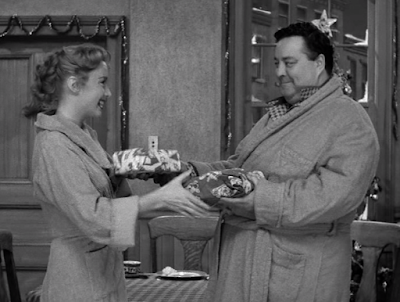 Remember the 1955 Christmas episode of The Honeymooners? It's an adaptation of O.Henry's "Gift of the Magi."